This 17-year-old girl had a simple yet obvious case. She did not like the space between her front teeth. To correct this problem, we could have filled her front teeth with composite bonding to close the space artificially, but she would have needed continued maintenance on the bonding and it would have made her front teeth look too big. The other option was braces. Since she did not want traditional braces, Invisalign was perfect for her and her treatment took less than six months. 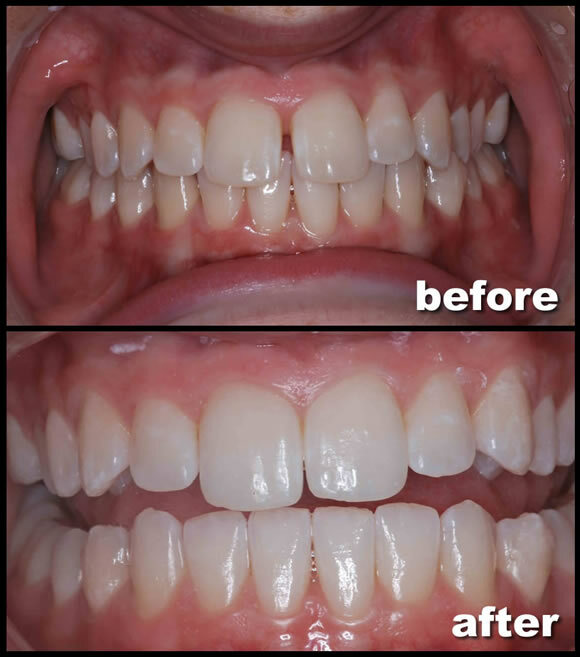 Invisalign provided a natural solution, giving her the smile she was looking for quickly and without the high maintenance of a composite bonding. Now she is comfortable and happy with her front teeth.